She waits all night but he doesn't call. Anybody feel like this is kind of a low for kingpin? 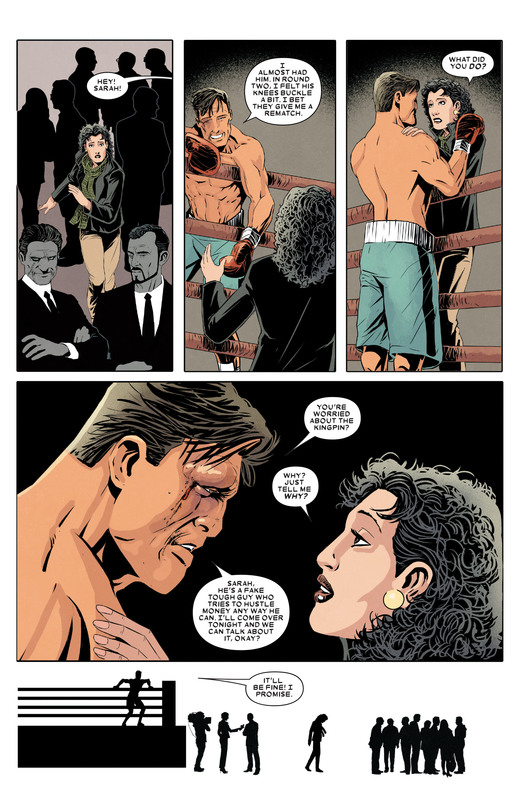 Fixing boxing matches is kinda small time, and the last panel is just plain petty. I was worried when I read the quote that we were going to get some sort of "poor misunderstood Wilson; he really just wants to help!" story; how pleasant to read a "nope, he's still a creep and crook" story. 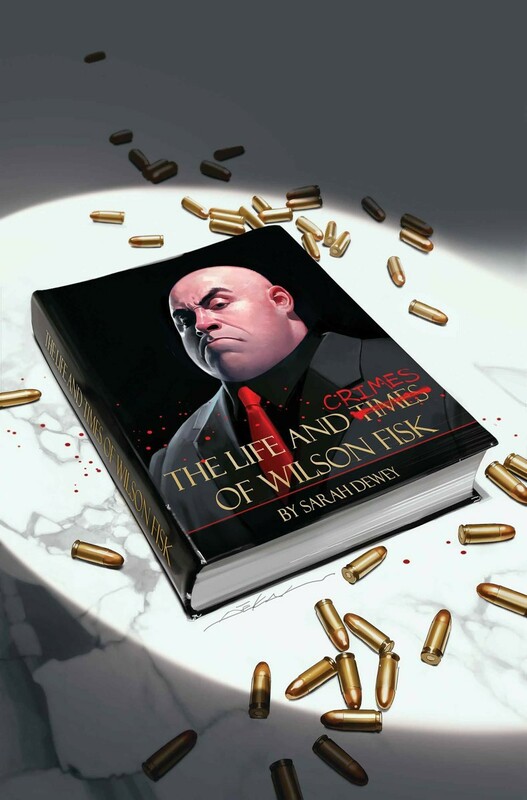 I think the problem is the writer planned for this to be a much longer book with the idea being Kingpin trying to go legit and change his image only to get his hands dirty in the process. But because it was cancelled at the last minute he had to throw this in to give some semblance of a conclusion. Oh, this was supposed to run for longer? Pity. 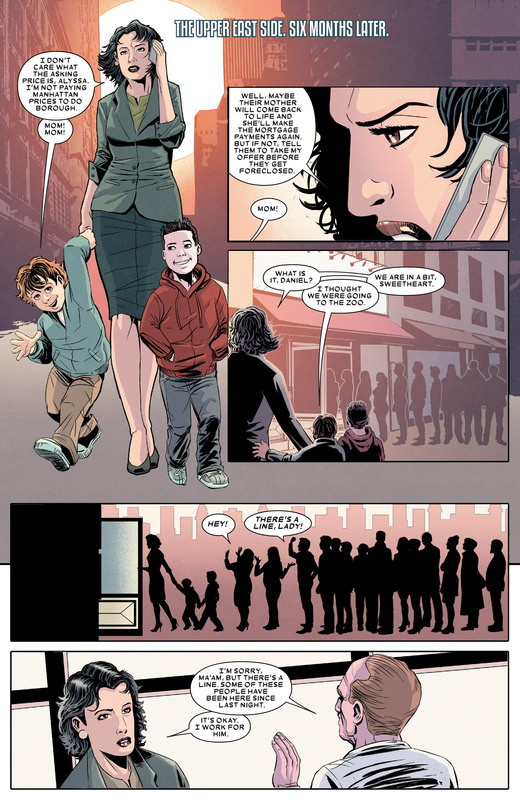 It must be meant as a parallel to Daredevil's origin story. Still as nothing compared to Apocalypse, who responds to EVERY setback with "A-ha, this has all gone the way I wanted it to, to achieve my REAL masterplan" which must have every Horseman ever quietly rolling their eyes and making "Yeah, sure boss, sure" comments. I love Rosenberg's quote. Moral relativism with a side of ego. 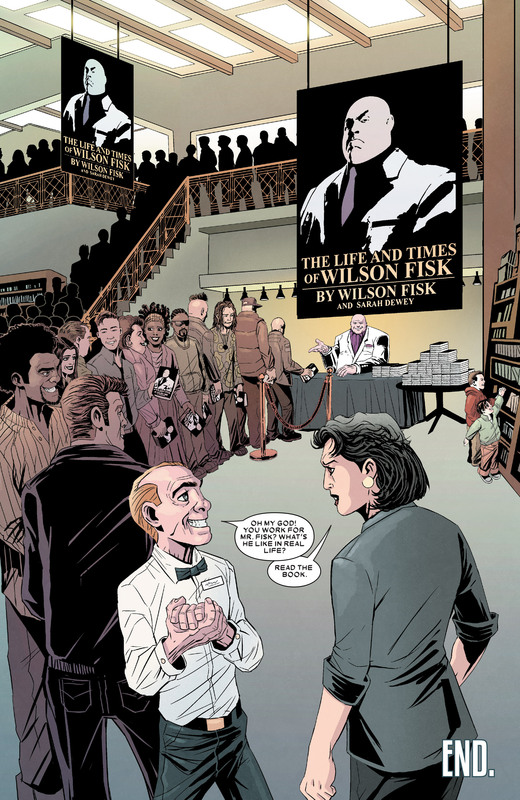 "Sure, Fisk always seemed like the villain, but now he's got -ME- writing him!" It's not egotistical, he's just saying we've mostly seen Kingpin from the perspective of his enemies. Although his CWII tie-in series was probably a better example of having him as the hero of his own story. But he's putting the success of this sort of thing on himself. Not any writer willing to explore the Kingpin in that way (of which there have been several, actually)and "make him look good": Him. 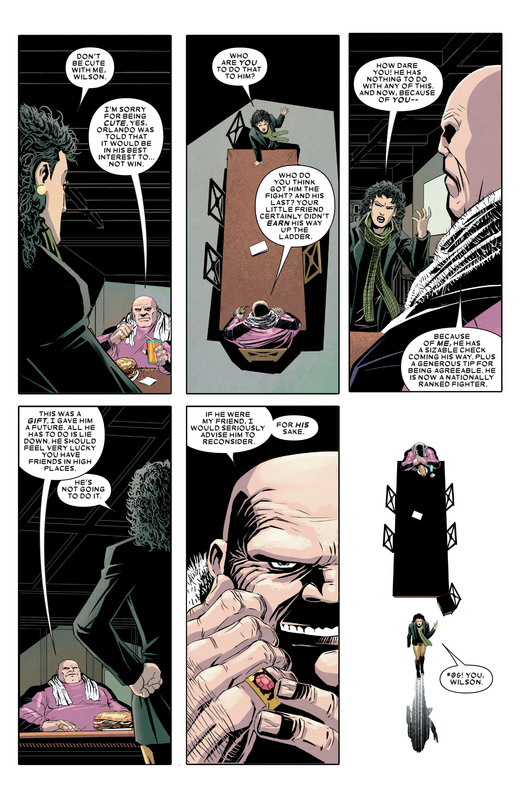 He's given credit to numerous other writers elsewhere for their depictions of Kingpin being influential to his work. I'm just going by the quote on this page, Hoss. All the quotes I've picked were pithy little selections from much larger pieces.